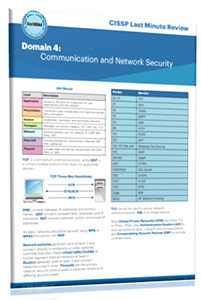 My CISSP Study Group will help you prepare for the CISSP exam. I’ll send you weekly coaching emails that guide you through my study materials and prepare you for the CISSP exam. Fill out the form below to join for free! 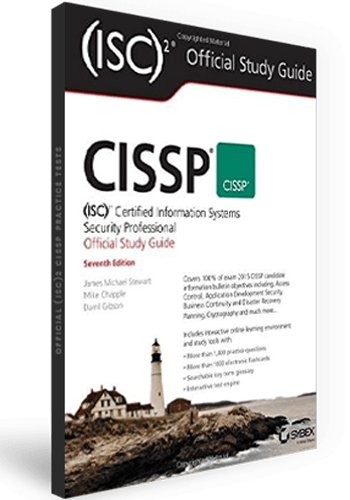 My Official (ISC)2 CISSP Study Guide covers every exam objective in detail and includes practice test questions designed to get you ready for test day. 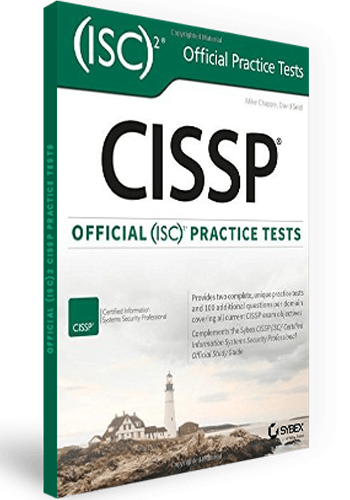 I've prepared the Official (ISC)2 CISSP Practice Tests as a resource to help you assess your exam readiness and prepare for your test day! LinkedIn Learning features a series of nine video courses that I've prepared covering all of the material that you'll see when you take the CISSP exam. My Last Minute Review Guide provides you with a concise summary of all 8 domains to help you pass the exam on your first attempt.